Respecting a Patient's Religious Values: What Does This Require? An Orthodox Jewish father is approached by a physician to discuss potential treatment options for his critically injured infant son. The possibility that he might progress to a determination of brain death was raised. The father stated and a rabbi concurred that his religion only acknowledges cardiopulmonary death. This article will address the following ethical question: "what does it mean to respect another person's values?" An overview of brain death and culture will be presented. A concept analysis for respect will be presented and used to analyze the case. Recommendations for actions that nurse managers, nurses, and other healthcare professionals could take to promote their ability to respect a patient's values and beliefs will be made. "What does it mean for a healthcare professional to respect another person's beliefs during clinical ethical decision making" is a fundamental question that may be raised during a clinical ethics situation involving cultural issues. Joshua is the infant son of an Orthodox Jewish family from Israel. Joshua and his mother were thrown from their car during a rollover accident. The mother was pronounced dead at the scene. Joshua was diagnosed with a traumatic brain injury and hospitalized in critical condition. The father notified the healthcare team that he would be taking his wife's body back to Israel and, therefore, would not be at his son's bedside for the next 7 days. In his absence, the father asked his brother to assume power of attorney for Joshua's healthcare. The healthcare team felt compelled to have a frank and open discussion with the family about the potential decisions that Joshua's uncle might need to make during the father's absence. One possibility raised was the high probability that Joshua's condition could deteriorate and the criteria for death by neurological condition would be met or, in other words, he would be declared brain dead. When this possibility was raised, the father stated, "Orthodox Jews do not accept the diagnosis of brain death." The rabbi who was present at the family meeting concurred with the father's position and felt that further advice from other rabbis would be needed if a diagnosis of brain death were to occur. The family meeting concluded with the rabbi summarizing as follows: "If brain death were to occur, the brother will be notified. He will talk to the father, obtain rabbinic advice, and then talk with the doctor again." * Was there an implication that the family's beliefs would be accommodated when the physician did not challenge the rabbi's summary at the end of the family meeting? * How do healthcare professionals as well as patients and their families interpret the statement that "patients can expect that their personal values and beliefs will be respected," which is included in hospital publications? * How should decisions be made when medical science and the patient's religious beliefs disagree? Because it is medically possible to physiologically maintain vital organs in a cadaver through the use of ventilators and other interventions, others (such as family members) can mistakenly believe that the person is still alive. This misperception can escalate when well-meaning healthcare professionals ask family members when life-sustaining interventions should be discontinued.5 Theoretically, once death has been determined, all interventions should be discontinued because the interventions are no longer serving a medical purpose. When family members make requests for additional time in which to say good-bye before the technology is discontinued, the focus of care has shifted from the patient to family members. Often, these requests are honored by healthcare professionals especially if the delay is short (eg, <2 hours).6 Healthcare professionals may experience an ethical quandary if the anticipated delay is lengthy and the hospital's ability to care for other critically ill patients is limited. A commitment to universality (treating similar persons similarly) might suggest that there is no moral difference between delaying removal of technology to allow family members to say good-bye and continuing ventilation until asystole occurs to support the patient's/family's religious values. "Culture implies the integrated patterns of human behavior that include thoughts, communications, actions, customs, beliefs, values, and institutions of racial, ethnic, religious, or social groups. "7(p93) A person may be a member of a variety of cultures. However, as an infant, Joshua has not had the ability to seek out or validate his cultural ties; thus, his family's values would be used to guide decision making on his behalf. A variety of definitions were gleaned from a review of the literature. Walker and Avant8 suggest that a concept, such as respect, may be better understood by identifying its antecedents, criteria, and consequences. Antecedents are the factors that must be present before the concept occurs. Criteria describe the essence of the concept and thus form a verbal picture of the concept. Consequences are what happens as a result of the concept occurring. On the basis of the definitions of respect presented above, the following antecedents, criteria, and consequences for the concept respect were identified. Questions have been raised about whether the family's religious values and beliefs were respected in this situation. These questions may be answered by determining if all the antecedents and attributes for the concept respect were present in this case scenario. Antecedents. The antecedents required for respect to occur between the physician and Joshua's father seem to be present. During the family meeting, the physician's medical opinions and values were presented, as were the family's religious values. All participants acted in a dignified and professional manner. Jacobs noted that a person's ability to "reason, self-determine, and ultimately act or be moral"15(e-p14) is the result of the person's moral agency, which seems to describe the first antecedent. The fulfillment of the first antecedent is also supported by the statement that "patients can expect that their personal values and beliefs will be respected" from the hospital's publications. This statement suggests that the healthcare team members as representatives of the hospital will recognize and incorporate the patients' and/or their family's personal values and beliefs into care planning. The ongoing discussions and commitment to prospective planning seem to demonstrate a professional, open interaction between the healthcare team, family, and rabbi. It is interesting to note that these relationships are relationships of convenience formed in response to Joshua's emergent medical needs and are further constrained by a sense of urgency created by the father's impending trip to Israel; thus, neither the physician, father, nor rabbi has the luxury of time to learn in depth about the other's unique values, beliefs, or competencies. Criteria. The first criterion notes that the person doing the respecting must make a choice to implement respect. Initially, this criterion seems to be met because the physician has initiated a family meeting and never challenged or replied to the father's or rabbi's comments and/or plans. It is not until after the family has left the hospital that the physician stated his belief that "dead is dead" and that he had no intention of acting on the family's requests or directions. Although this physician had the positional power to initiate a culturally congruent plan of care, he chose instead to implement a standardized plan of care. It remains unclear why the physician did not verbalize his position and plans after hearing the rabbi's summary. During the family meeting, there seemed to be an assumption that the purpose of the meeting was to identify a strategy to integrate the family's religious views about the definition of death into Joshua's plan of care. The hospital's written publication infers that acting on the patient's values is a routine and expected practice at the hospital. The rabbi provided basic education about their religious definition of death and how rabbinical consultation is used to answer ethical or challenging questions. The rabbi's summary described the initial steps that the uncle, father, and he would take as a means for clarifying their religious positions and options. However, there is no clear statement by anyone (family or healthcare professional) at the meeting describing what actions would actually be implemented after these conversations took place. Although the potential exists for the second criterion-a pattern of behavior that recognizes and regards as inviolable the human dignity, contributions, and self-determination in all individuals-to be met, this second criterion has not fully been met as described in the case study. Consequences. Because the criteria for respect were not met, none of the consequences could occur. This lack of consequences is illustrated in the physician's comments after the family meeting. The physician's position and comments limited conversation among the healthcare team members and, in all likelihood, also future conversations with the family and rabbi. The physician's comments do not reflect an atmosphere of trust, a commitment to developing relationships, or empowerment to overcome challenges. There are a variety of recommendations for how nurses and other healthcare team members could promote respect of religious beliefs during difficult ethical situations. The most basic recommendation is to promote open and honest communication. It is this author's belief that all ethical issues involve a communication breakdown. In this situation, much information is missing about the rationales supporting the various positions and whether the family or physician has had previous experiences with patients who have been diagnosed as dead by neurological criteria. If communication is improved, then the antecedents required for respect to occur may also be promoted. Second, individuals may have difficulties accepting and/or supporting values and beliefs that they do not understand. Thus, it would be important for the ethicist, hospital chaplain, and perhaps a rabbi from the community to conduct an interdisciplinary in-service to clarify the various definitions of death and the religious and ethical rationales used to reject the diagnosis of brain death. Another option is for the healthcare team to use a religious interpreter (much like a language translator is used)4 to facilitate the staff's understanding of the patient's religious values and beliefs including the basis for these beliefs and any associated consequences. Having a better understanding of another's values and beliefs facilitates the presence of the antecedents required before respect can occur. Third, an organization's mission and values should be used to guide organizational policies and procedures in addition to business and ethical decisions. However, there seems to be a discrepancy between the hospitals' published values and any policy and procedure related to care of persons meeting criteria for death by neurological criteria. Further discussion is needed at a variety of levels to determine the level of buy in present from the various stakeholders (eg, trustees, hospital leadership, medical and nursing staff, respiratory therapists, and other ancillary staff) and the facilitators and barriers related to how this organizational value should be operationalized. Is there a pervasive belief among the stakeholders that the hospital respects prominent mainline religious practices such as kosher diet, baptism of infants, and inclusion of spiritual leaders into end-of-life decision making but other religious practices (eg, burning a candle to facilitate the soul's movement after death, providing communion to a patient who is to receive "nothing by mouth," having animal sacrifice, or anointing a burn victim) that may conflict with scientific practice are not promoted or allowed? If the various stakeholders agree that specific religious practices exist that seem contrary to the hospital's primary objective to provide safe, high-quality patient care, then further conversations would be warranted. Hospital leaders and community religious leaders would need to learn more about each perspective, discuss the quandary that is created (eg, minimizing the patient's spiritual health in attempt to promote physical health), and attempt to develop a mutually acceptable plan that could be respectfully implemented in the future, which might promote the occurrence of the second criterion for the concept respect. Fourth, healthcare professionals have a professional moral obligation to refrain from collecting data from patients that the healthcare professional knows in advance will not be used to guide future clinical decisions. This obligation promotes the ethical principle of confidentiality, which suggests that information should be disclosed on a need-to-know basis. Typically, this obligation is applied in obtaining blood tests or other diagnostic tests, but the question could be raised here about whether this obligation has bearing on the healthcare team's actions related to making a diagnosis of death using neurological criteria. If the family's religious objections toward a diagnosis of death based on neurological criteria are known or anticipated, then the team could decide not to pursue the diagnostic tests required to make this diagnosis. In the absence of a definitive diagnosis related to death by neurological criteria, all stakeholders would be making decisions based on the potential for death by cardiopulmonary criteria. One potential downside to this option is related to whether not performing tests to determine if death by neurological criteria has occurred fails to meet the current the standard of practice. A similar action that avoids the potential for confrontation would be not to raise the possibility that Joshua might proceed to a diagnosis of death by neurological criteria during the family meeting. The decision not to pursue a diagnosis of death by neurological criteria could illustrate choice, which is the first criterion of respect. Finally, once brain death has been established and clearly communicated, the decision could be made to continue to "ventilate until asystole"5(p99) occurs. The healthcare team should be educated on the reasons for this plan. Some may equate the continued ventilator use as a type of burial rite.5 However, it should be made clear to all parties that continuing the ventilator is not keeping the patient alive. Lamb5 and Burck et al6 suggest that the death certificate should reflect the time that death by neurological criteria was established; however, this recommendation seems to this writer to be culturally inconsistent. If the primary intention is to respect the family's religious beliefs related to death, then in the absence of other compelling factors (perhaps legal or financial), this author believes that the death certificate should also reflect the person's religiously defined time of death, which would be the time that cardiopulmonary death occurred. This option has the potential of promoting both defining criteria for the concept of respect: a choice to recognize as inviolable the human dignity, contributions, and self-determination of the other individual. Nurse managers are often the first resource that staff nurses turn to when involved in an ethical situation. Nurse managers may be called upon to verify the nurse's perception that an ethical situation is occurring and/or to assist the nurse to correctly describe the problem that is occurring, be it ethical, legal, or organizational in nature. 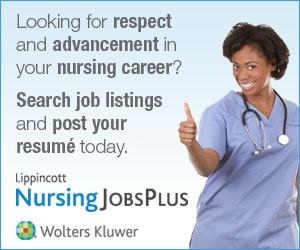 When fulfilling this role, the nurse manager will be using his/her listening and problem-solving skills. In addition, the nurse manager may need to encourage communication between the various healthcare team members and/or professionals to facilitate education and promote a unified plan of care. Nurse managers may need to convey policy and procedure issues to the appropriate nursing and/or hospital committee. For example, the nurse manager might communicate with the hospital's policy and procedure committee to ask whether the hospital should establish guidelines on how to proceed if a patient's family voices religious objections to a diagnosis of death based on neurological criteria. The nurse manager may also be required to assist the nurses and other healthcare team members to promote equity among and between patients. The ethical principle of justice requires that "equals must be treated equally, and unequals must be treated unequally. "17(p227) Treating equals equally would require that policies and procedures should be applied consistently to persons with similar needs and/or values. A nurse might consult the nurse manager with the question as follows: "I don't understand why it was OK to maintain life support for 2 days for the patient last week until the family could arrive but we can't continue life supportive treatments when the family raises religious objections?" This type of question may lead the nurse manager to assist the nursing staff to engage in a quality improvement project to better understand how withdrawal of life support decisions are made and implemented in a specific nursing unit and/or hospital. This commitment to treat equals equally might be challenged if a healthcare team member questions whether a family's religious objection to death by neurological criteria should be given more moral weight during decision making if the patient or family spokesperson were himself a rabbi. Thus, the nurse manager may need to promote the opportunity for the healthcare team members to dialogue with spiritual resources to consider whether there is or should be a "VIP" status given to the religious values held by patients or surrogate decision makers with religious roles, such as clergy or religious educators. The nurse manager may also be approached by staff nurses experiencing conflicts with their personal cultural or religious values and plan of care related to diagnosis of death by neurological criteria. Nurse managers need to be aware of the institution's policy related to conflict of care or conscientious objection. The nurse manager is also in a key position to promote collegial sensitivity and awareness among the nursing staff and to minimize any potential threats of retaliation toward a nurse who requests accommodation based on claims of conscience during clinical ethical situations. The concept of respect is a dynamic concept that not only requires the person to make a conscious decision to act in a respectful manner but also requires the development of a pattern of behavior that can be applied to a variety of persons in similar situations. Once the criteria for respect have been met, a variety of positive consequences will occur including reciprocal respect, a trusting environment and the ability to meet challenges. Undoubtedly, the challenges related to how to make decisions for Joshua when his father could not be intimately involved in the day-to-day activities may have been minimized if an environment of respect could have been fostered between the healthcare team and the family. Fortunately, Joshua's condition improved, and he was ultimately discharged home to his family.